FAIRHAVEN, Mass. 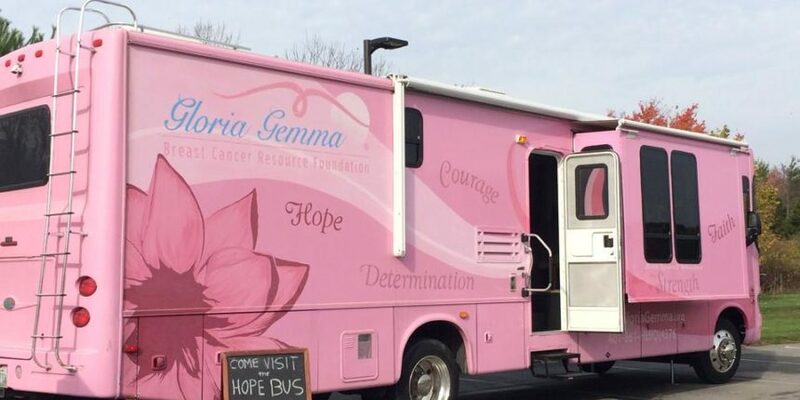 – Southcoast Centers for Cancer Care, a part of Southcoast Health, has teamed up with the Gloria Gemma Breast Cancer Resource Foundation’s Hope Bus to provide local cancer survivors, cancer patients and their caregivers with free spa services this summer. The Gloria Gemma Hope Bus travels throughout Rhode Island and into Massachusetts providing guests with information and resources about breast cancer. In addition to education services, the Hope Bus offers healing arts programs, spa services, nutrition classes, support groups, and a safe environment in which to share experience and life stores. All cancer survivors, cancer patients and their caregivers are encouraged to attend, regardless of where they received their cancer care. All services aboard the Hope Bus are free of charge. Registration is not required. For more information, please contact Kathy Tsonis, Cancer Outreach Coordinator, at 508-973-3077.